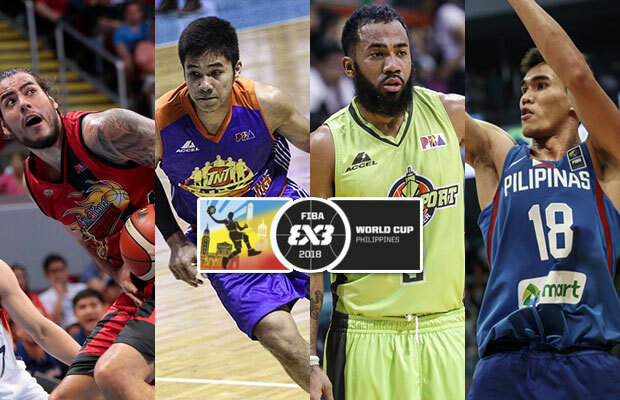 The Samahang Basketbol ng Pilipinas (SBP) has officially announced the four Filipino basketball players who will represent the country for the upcoming FIBA 3X3 World Cup. Stanley Pringle of the GlobalPort Batang Pier, Christian Standhardinger of the San Miguel Beermen and Talk ‘N Text KaTropa Texters players Roger Ray Pogoy and Troy Rosario are tasked to defend the land as the game are scheduled to be played in Philippine Arena, Bocaue this coming June 8 to 12. The team will be coached by Ronnie Magsanoc. “It was a collective decision to choose the 4 names that were mentioned earlier. We’re hoping that somehow this would be a team that not only would be competitive but also provide a good template on what the future brings for the program of the 3×3 because as I understand, this is just the beginning, the opening of the door for a possible exponential growth of the sport in the country,” said Magsanoc. Team Philippines is in Pool C along with the powerhouse team Russia and team Canada. Back in 2014, the Russian players bagged the bronze medal and since then they’re always a contender to win the championship trophy. Filipino basketball fans will have a close-up glimpse on Serbia’s flashy guard Dušan Domović Bulut. With his amazing dribbling handles, he was able to help his team to win 3 gold medals (2012, 2016 and 2017) and a silver medal (2014). Last year, team Philippines were represented by JR Quinahan, Kiefer Ravena, Jeron Teng and Kobe Paras. That squad finished at 11 spot, they have beaten team Romania and team El Salvador in their pool. However, they have failed to move to the second round.